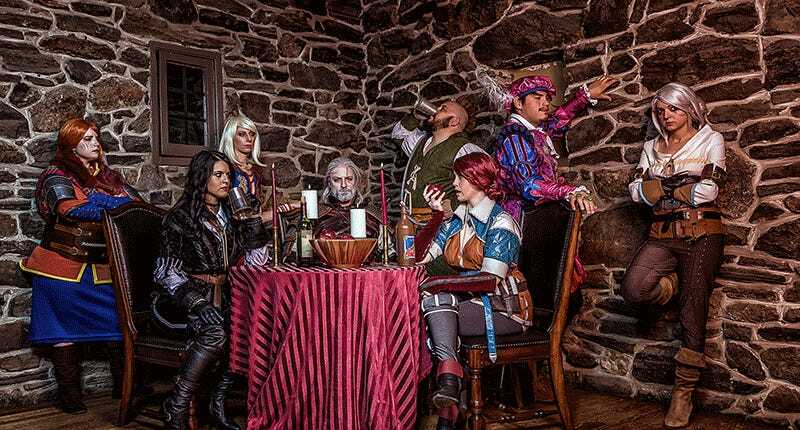 Yeah, we’ve featured some damn fine Witcher 3 cosplay here over the last year, but I’ve never seen anything quite like this effort to get Geralt’s whole crew together in one shot. This shoot from the recent Denver Comic Con (where they won best in show!) pretty much nails it. Cosplayer credits: Geralt, Yen, Triss and Ciri are there, as expected, but there are also some damn fine representations of Dandelion, Zoltan, Cerys and even Keira Metz.